The Lamborghini Miura is one of the greatest cars of all time. 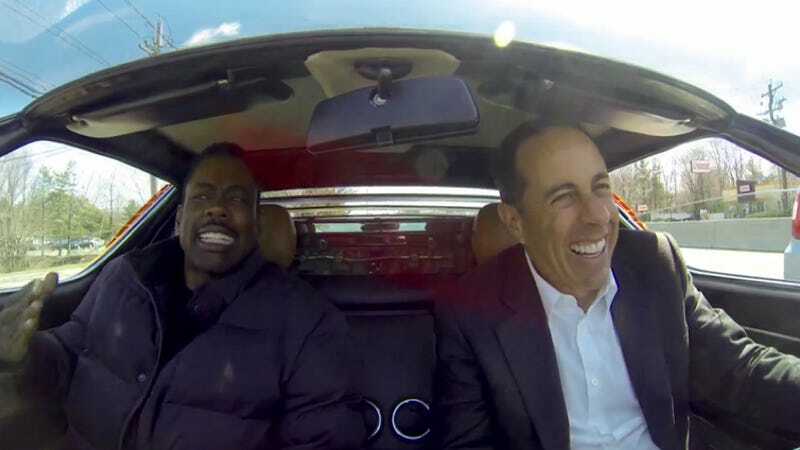 Chris Rock and Jerry Seinfeld are some of the funniest people of all time. Put them together and you have the formula for the best episode of Comedians In Cars Getting Coffee yet. This is the episode of the series we've been waiting for all year. Once we saw the Miura staging at Manhattan Classic Car Club, we knew this would be a good one. We were right. Rock is hilarious, Jerry is on point, and the Miura, well, it's a freaking masterpiece. I don't want to spoil the ending, but Jerry decides to demonstrate how fast the car is. It becomes an issue.